Cameroon secured their place at the 2019 Africa Cup of Nations in Egypt with a 3-0 win over Comoros in Yaounde on Saturday in the final Group B qualifier. The Indomitable Lions, who won the last Nations Cup in 2017, needed at least a draw against Comoros to reach this year's finals after Cameroon were stripped of hosting rights in November 2018. 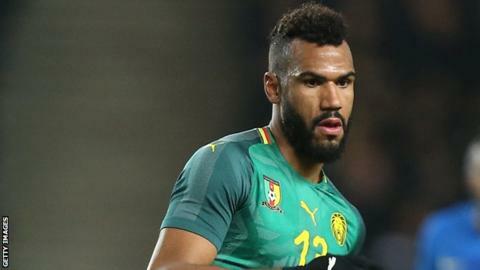 Paris Saint-Germain's Eric Maxim Choupo-Moting set Cameroon on their way with a goal after 37 minutes. China-based Christian Bassogog - who was named player-of-the-tournament at Gabon 2017 - scored Cameroon's second goal in the 54th minute, with substitute Clinton N'jie hitting Cameroon's third goal after 89 minutes. The victory means Cameroon, coached by Clarence Seedorf, finished second in Group B behind leaders Morocco who drew 0-0 with bottom side Malawi in Blantyre on Friday. Comoros finished third in the group having needed a victory against Cameroon to qualify for a Nations Cup finals for the first time. The Comoros football federation has filed a complaint at the Court of Arbitration for Sport (Cas) calling for the elimination of Cameroon after they lost the hosting rights of the 2019 Nations Cup. Also on Saturday, Burundi qualified for their first Africa Cup of Nations finals with a 1-1 draw against Gabon in Bujumbura.